Without realizing it, people constantly provide companies insights into their beliefs, behaviors, and identities through their online activities. Digital footprints are built with billions of online clicks. They reveal aspects of our personal lives, which are collected, packaged, and sold to companies that want to better understand their markets, influence their consumers, and increase their profits. Political organizations are no different. The pressure for election victory requires campaigns to explore every competitive advantage. Campaign teams are just starting to realize the power of data, but have not harnessed its full potential. Online information, when properly used, provides campaigns greater insight into constituents’ political perceptions and voter behavior, which allows them to better inform campaign strategies, public engagement activities, and micro-targeting efforts. In a mad rush to obtain information, campaigns amass voter files (e.g., voting history, census data, polls, focus groups, and surveys) to generate insights that guarantee victory. But data only works when interpreted properly. And without sound methods to interpret the information, campaigns are left guessing about what data best informs voter turnout and behavior—how people will ultimately vote come Election Day. Current methods used to interpret information may accelerate the process, but more often than not, they deliver flawed results (e.g., Trump and Brexit). Identity analysis enables campaigns to pinpoint voter identities that influence public perception and behavior. Social media exploitation identifies and measures key campaign topics, trending discussions, and key influencers. 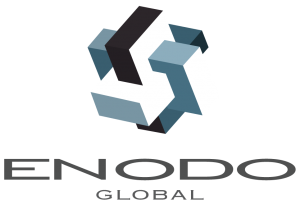 Customized technologies, which include Topic Modeling, Demographic Analysis, Social Network Analysis, and Machine Learning accelerate the process by synthesizing large volumes of information, producing more targeted analyses, and providing actionable insights. This unique combination generates a far more precise and realistic view of public sentiment and the electoral landscape than highly variable and prompted responses found in public opinion polls and surveys. Identity analysis uncovers the different identity layers that influence individual beliefs and pinpoints the common identities that exist across different demographic groups. Identity filters dissect information across primary socializations (e.g., race, religion, ethnicity, socioeconomic class, age, and gender) and secondary socializations (e.g., education level, profession, and interests/hobbies). They provide campaigns a more nuanced view of public perception and the ability to track shared sentiment topically, over time and across geographies. It enables campaigns to make sense of constantly changing public opinion, which result from highly charged identities. Political parties typically design voter engagements based upon primary and secondary socializations (e.g., party affiliation, race, gender, economic status, and educational level). In the U.S., party and race often determine how campaigns allocate their resources. Democrats target urban minorities and Republicans target rural whites. The approach leaves little opportunity to create broad coalitions of supporters. Instead, it depends on narrow demographic coalitions across geography within a predetermined constituency. Viewing constituencies through the identity lens enables campaigns to pinpoint different voting blocs (Identity Coalitions) that intersect traditional demographic groups. 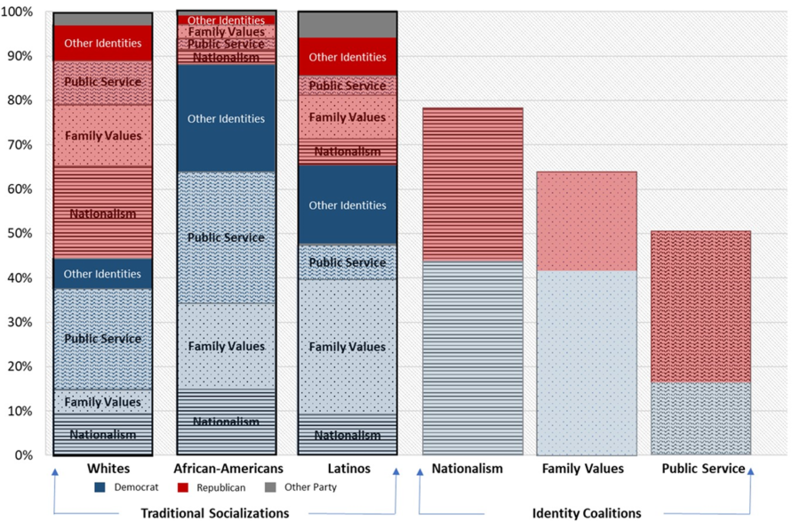 For example, Figure 1 depicts how nationalism, family values, and public service identities cut across traditional socializations—party affiliation and race. Identity analysis enables parties or individual campaigns to create engagement strategies that tap into common identities, rally broader “Identity Coalitions,” and win elections. Figure 1. Traditional Socializations vs. 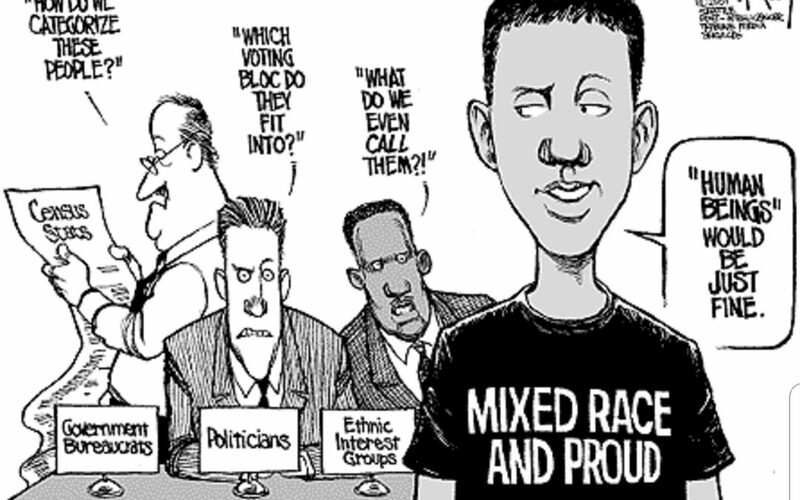 Identity Coalitions. In the smartphone era, continuously changing online environments require tailored technical processes to keep pace with rapidly evolving public sentiment. Social media exploitation collects, filters, and synthesizes textual and visual information from online digital and social media (e.g., Facebook, Twitter, YouTube, and Instagram), as well as blogs, local statistics, polling, focus groups, and news outlets (RSS feeds). Topic modeling and sentiment analysis deliver real-time updates that pinpoint, measure, and track voters’ perceptions of campaign-related issues over time. When combined, they generate specific, accurate information that enable campaigns to build tailored narratives, which speak to common identity layers regarding the most pressing concerns. 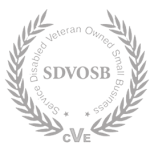 Social network analysis uncovers the basis of shared understandings. It enhances typical data analytics by identifying the relationships between individuals and across their online networks. It groups discussions based on shared identities, discussion themes, and key topics, which enables campaigns to identify commonalities within even the most diverse communities. For example, online influencers (e.g., key figures and online activists) bind groups together and shape shared perceptions. Identifying these key figures and their relative influence enables campaigns to ally with influencers and develop online pathways to deliver targeted communications to the most receptive audiences. This approach empowers candidates to win elections! However, it also provides an avenue for a tangible connection between candidates and their constituents that extends far beyond the election cycle. It enables candidates to proactively cultivate a personal relationships with the electorate after they win, not only to prepare for re-election, but also create a foundation for successful governance built on transparency and trust between candidates and the people they wish to serve.